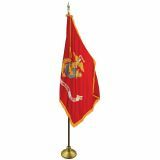 Our Marine Corps Flags are perfect options to celebrate the legacy and pride of the Marine Corps. 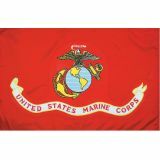 100% made in America, Marine Corps flags are available in various sizes and models for every event. 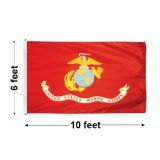 The U.S. Marine Corps Flag, also known as the battle color, is the official flag of the U.S. Marine Corps. 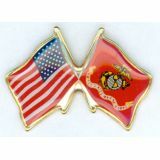 The flag design that was adopted in 1939 features a scarlet field with the Marine Corps emblem in grey and gold in the center. 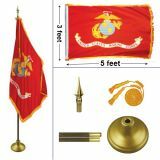 The indoor Marine Corps flags come with a gold fringe along the perimeter. 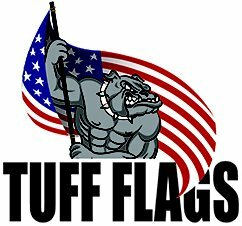 Shop Tuff Flags and take advantage of the best prices, quick shipping and much more! 100% customer satisfaction guaranteed! 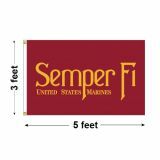 Tuff Flags has an impressive line up of Marine Corps Flags that are well suited for every occasion and remembrance events. We have flags produced with many fabrics for various uses: 200 Denier weight- Type 66 Bright Dupont Solar-Max nylon fabric, heavy 2- ply polyester, economical poly cotton and silk-like rayon material. 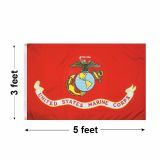 From outdoor flags and indoor flags, parade flags and mounting sets, we have everything to ensure a spectacular display of Marine Corps Flags. 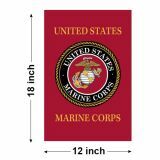 Marine Corps Flags are perfect for veterans, and anyone who wants to honor the fighting men and women of the USMC.The emblem of the Marine Corps at the center of the flag features eagle, globe and anchor. 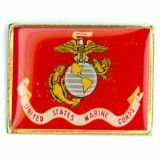 The eagle represents the United States, the globe shows that the corps is ready to operate anywhere in the world and the anchor represents the naval origin of the Marines. Our commercial grade flags ensure the highest durability and beauty with color consistent UV resistant Dupont inks. 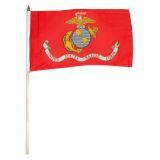 Browse our complete line of Marine Corps Flags and merchandise and place your order right away. Can't find what you are looking for? 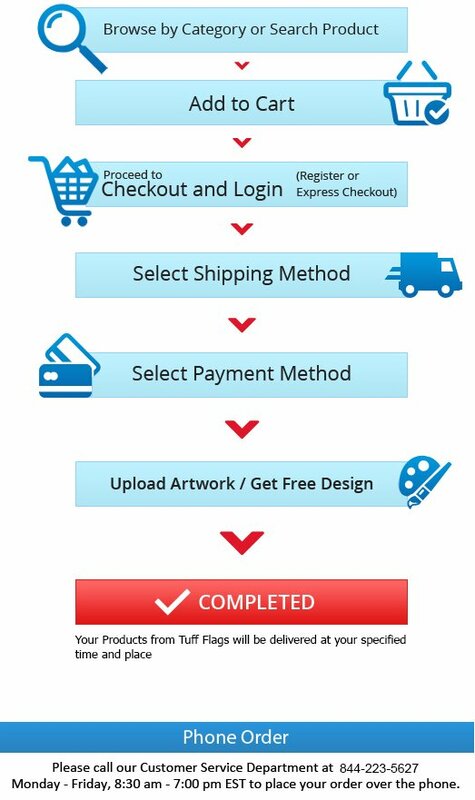 Call us at our toll free number (888) 287-3524 or email us at customercare@tuffflags.com and we are happy to be of assistance.